The aim of this site is to try to keep track of preserved Axis aircraft and projects aiming at preserving and restoring Axis aircraft. Currently this site contains more than 1950 entries and some 1750 photos. Please read more about the purpose of this site and my thoughts on copyright and co-operation on the Web! If you can help with new information or photos please contact me. This site is the fine result of the many contributions made by people from all over the world! Please remember that you shouldn't plan any travelling etc. from the information found on this website since things change constantly. 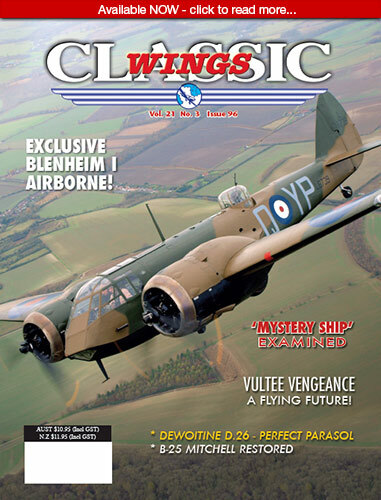 The excellent aviation magazine Classic Wings based in NZ/Australia supports this website. Please visit them!